Alivia was great - very friendly. Car was excellent. Very fun and a real hit at the wedding. Small issue with communication via the Turo platform, but we were able to work through it. First, the smell. It smelled like a bad mixture of marijuana, dirty feet, and mold. It needed at least 1 more air freshener (the 4 hanging in the car didn&apos;t work. The windshield wipers needed replacing. The car needs air in the tires and an alignment. 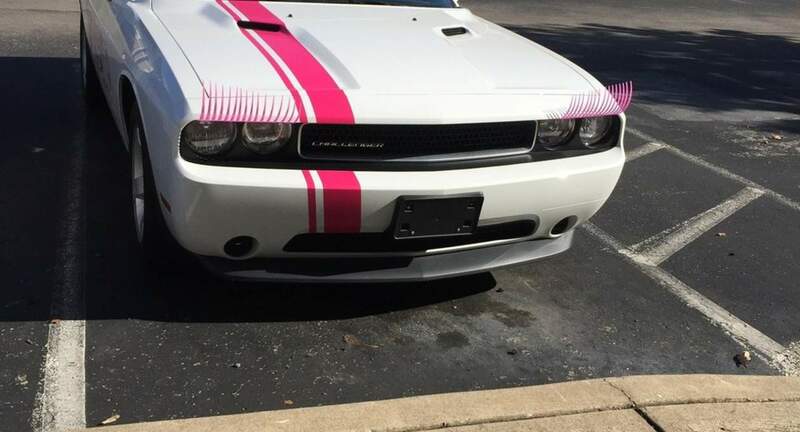 And the reason you don&apos;t see any side photos is because you are driving around in a rolling pink nail salon advertisement. The car ran well and got us where we needed to go but I would not rent it again.